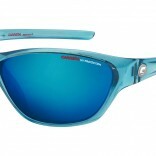 Carrera Sunglasses Inspired by the legendary Carrera Panamericana automobile race, the CARRERA eyewear brand was created in 1956 by the Austrian Wilhelm Anger Werker. During the next 20 years, the brand has made its way into the world of sports goggles for skiing and motorcycle, focusing especially on Maques fades for extreme sports. During this period, the brand has patented a completely new material for the optical industry at the time, the Optyl, it is a very light and non-allergenic strengthening the sustainability of CARRERA eyewear revolutionary material. 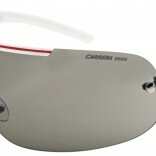 This has allowed CARRERA frames offer 20% lighter than traditional acetate frames. © 2019 Carrera Sunglasses. All Rights Reserved.